Mongolia's Olympic freestyle 60kg wrestler Mandakhnaran Ganzorig limbers up at a wrestling gym in Ulan Bator, last October. While the elite of the sporting world tune up for the London Olympics in world class facilities, other gold medal hopefuls are forced to make do with less sophisticated surroundings. 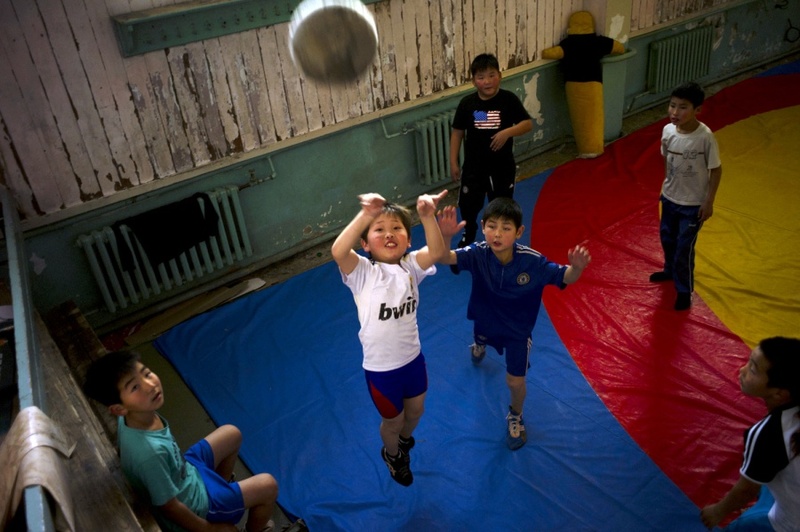 In Mongolia, Olympic freestyle 60 kg wrestler and Asian champion Mandakhnaran Ganzorig trains alongside children playing basketball in an old, tired gym with paint peeling from the walls. These images were shot on October 27, 2011 by Reuters photographer Kieran Doherty, and were made available to msnbc.com today. 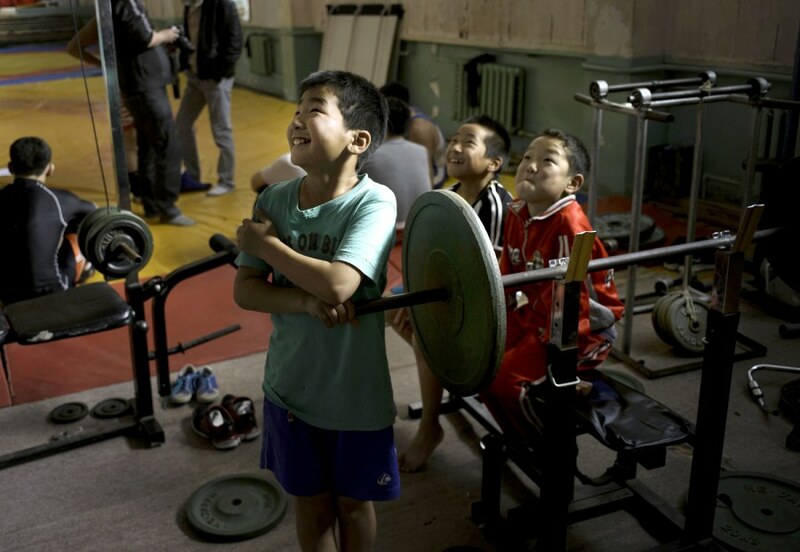 Children watch Mongolia's Olympic freestyle 60 kg wrestler Mandakhnaran Ganzorig limber up at a wrestling gymnasium in Ulan Batur. 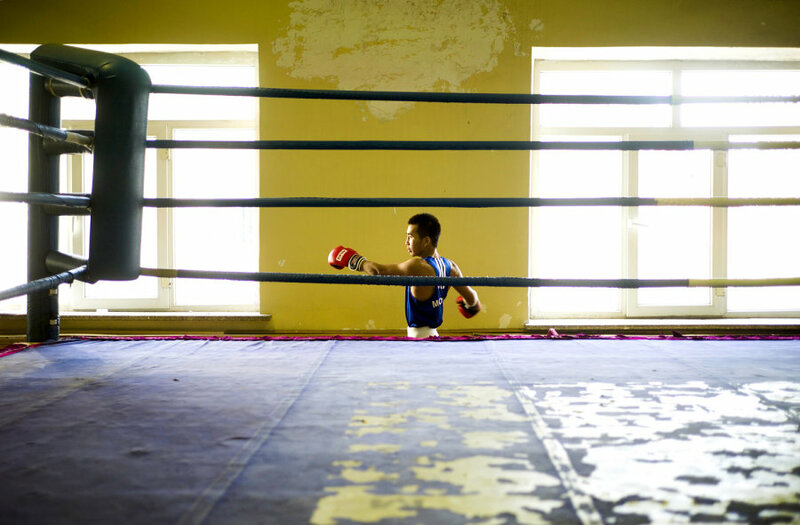 Mongolian Olympic boxer Tugstsogt Nyambayar prepares to train in a gym in Ulan Batur. 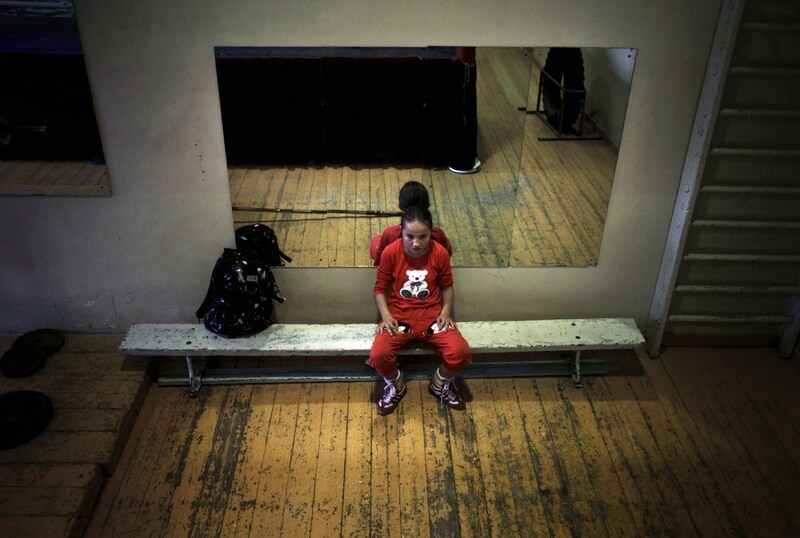 A girl boxes in a gym which is shared with Mongolia's Olympic freestyle 60kg wrestler Mandakhnaran Ganzorig in Ulan Batur. Children play basketball at a gym which they share with Mongolia's Olympic freestyle 60kg wrestler Mandakhnaran Ganzorig in Ulan Batur. 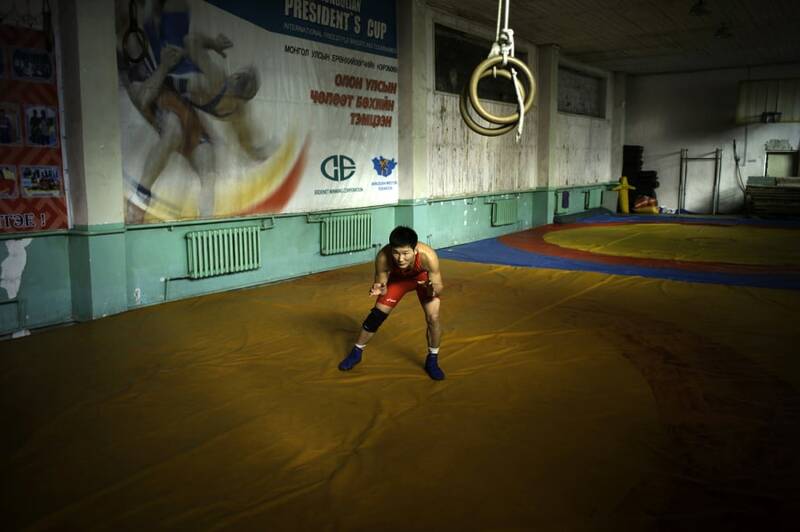 Mongolia's Olympic freestyle 60 kg wrestler Mandakhnaran Ganzorig limbers up at a wrestling gym in Ulan Bator.